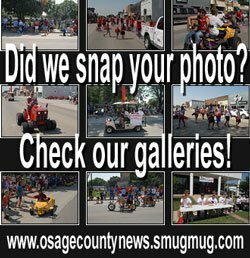 The following information was compiled from records at the Osage County Courthouse, July 13, 2018, through July 20, 2018. U.S. Bank to Jason W. Davis. Lots 12-14, Block 2, Osage Carbon Company’s Addition, Scranton. HUD to Andrew Q. Nemmers. Odd Lots 21-27, Block 1, Edgar and Jenness Addition, Carbondale. Bryan S. McGonigle and Melanie D. McGonigle to David W. Findlay and Megan K. Fraker. Tract NW 1/4 36-16-15. 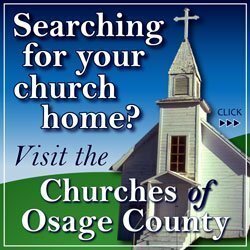 Osage County Sheriff to FNMA. Lots 14-16, Block 26, Bailey and Gilliland’s Addition, Lyndon. CHS Investments LLC to Chatham A. Williams. Lot 5, Block A, Tucker Subdivision “D”, Carbondale. Vanderbilt Mortgage to Alan D. Rice and Sheila A. Rice. Tract SW 1/4 24-14-15. Donald M. Hale Estate to Thomas L. Morstorf and Peggy A. Morstorf. Lots 11 and 12, Block 11, Olivet. Osage County Sheriff to PennyMac Loan Services. Odd Lots 41-47, Scott Street, Throop’s Addition, Scranton. David M. Katt and Joann C. Katt to Amanda Freeman. Lot 12, Block D, Tucker Subdivision “D”. Velorus M. Rhoades and Tonilee J. Rhoades to Terry A. Shroyer and Phyllis J. Shroyer. Tracts NE 1/4 7-16-17. Gerald E. Bowin and Linda L. Bowin to Karl C. Zimmerman and Denise J. Zimmerman. 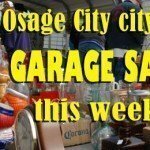 Lots 5 and 7, Block 12, Wetherell’s Addition, Osage City.